With the New York Yankees bolstering their bullpen with several additions, it’s time to look into each player individually. One of the moves that were made was bringing back former all-star closer Zack Britton. 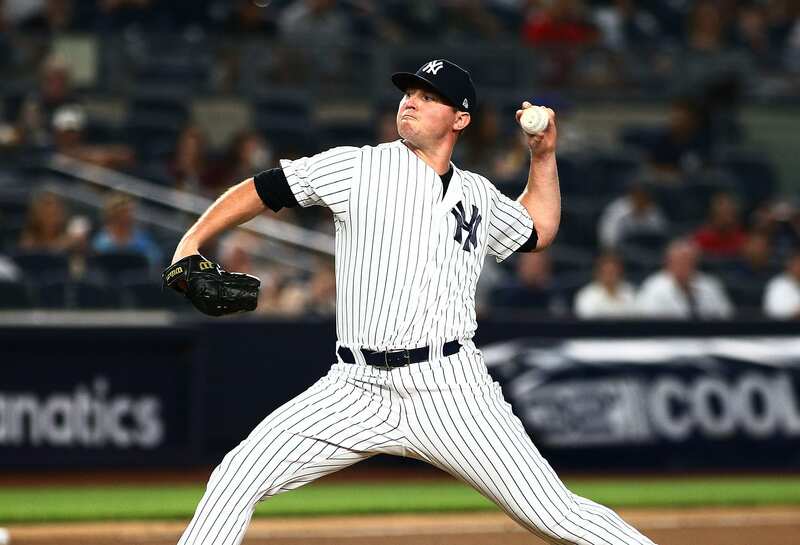 Despite starting 2018 on the Disabled List with an Achilles injury, Britton proved vital after the Yankees traded for him in July. Now that he’s had a healthy offseason to focus on training, he could be just one of many weapons in a lethal Yankees bullpen. On January 5, Britton and the Yankees agreed to a 3-year, $53 million dollar deal. Within the contract lies a unique option known as a swellpot option. After Britton’s second year, the Yankees will decide whether to pick up his option for a fourth year. If they don’t, Britton can then choose to opt-out and become a free agent, or play out the third year. Britton will return to the Bronx with a strong career resume despite his recent injury history. Since becoming the Orioles’ closer in 2014, he recorded 142 career saves, including a perfect 47-for-47 in 2016. He also recorded a microscopic 0.54 ERA and finished fourth in Cy Young voting that year. Due to rupturing his right Achilles during the 2017-18 offseason, Britton did not make his 2018 debut until June 12th. Over a month later, he is traded to the Bronx for a trio of pitching prospects, headlined by Dillion Tate. While rusty at first, he began to return to form with the Yankees, filling in when closer Aroldis Chapman went on the DL with knee tendinitis in August. Before that, Britton was placed on the DL twice in 2017 with tightness in his left forearm. With an entire offseason dedicated to rest and training instead of recovering from injury, expect Britton to return to being one of the elite southpaws in the game. If he can stay healthy, the Yankees may see the man who converted an AL record 60 consecutive saves as part of a disgusting bullpen.